Water features can transform the simplest and most boring landscapes into something truly unique and stunning. These features add serenity and freshness to the outdoor spaces and can also become the focal point of your commercial or residential landscape in Calgary. 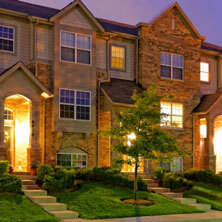 Aesthetics isn’t the only reason why you would want to get a water feature for your landscape. The sound of cascading water can help drown surrounding sounds like traffic or the sound of children playing etc. In this case, a rock waterfall would be a great addition to your landscaping in Calgary. On the other hand, if you want to use the feature to block an unpleasant view, the design of the feature would have to be planned accordingly. 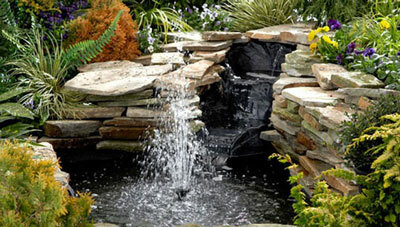 If you want to create a very calm space, a slow flowing stream or pond would be a better option. This is another aspect that needs to be kept in view while getting a water feature installed. 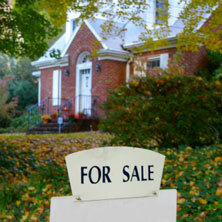 Choose the right spot for it, based on the layout of your landscape. Decide whether it’s going to be the focal point of the space or will only subtly uplift the look of the area, before making your choice. Whether you want a waterfall, pond, fountain, stream, pondless waterfall or a bubbling boulder, it’s a good idea to consult expert landscapers before making a final decision. We have the expertise to provide you with all the information you need and will handle the design and installation of the feature efficiently and professionally. 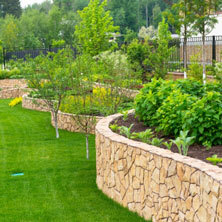 For custom designed water features, Project Landscape in Calgary is the company to call. You can discuss your requirements with our experts at this number – 403-407-5777 or send us the details via this Contact Us form and we will get back to you shortly.